Applications will be open until 30th June 2019 or until all places are filled. Places will be offered to students meeting the requirememnts on a first-come first-served basis. Due to the Christmas holidays, applicants will be responded to from 9th January 2019 with the decision on their application. From this point, all applicants will be contacted within three weeks of submission. Please complete all sections of the form including the requested photographs. Applications filled out incorrectly or that are incomplete may not be considered. Rambert School's decision on applications is final. Applications submitted without a clear headshot, ballet and contemporary photograph will not be considered. Please give a short paragraph of your classical ballet experience, if any, including, technique/style studied, course/classes attended and exams you have passed. Please give a short paragraph of your contemporary dance experience, if any, including, technique/style studied, course/classes attended and exams you have passed. Please tell us about your achievements, ambitions and inspirations, and why you would like to take part in this intensive training programme at Rambert School. 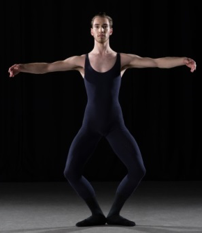 Please upload one photograph in dance practice clothes (so the lines of your body are clearly seen) of a ballet pose and a contemporary pose, and a clear headshot with hair off the face, head facing straight forward. Example poses are below, alternative poses can also be submitted. NB: please submit each pose regardless of your gender. Applications submitted without the three photographs requested (either in this form or by email if technical difficulties) will not be considered. Rambert School offers a range of opportunities throughout the year for aspiring young dancers. Please do select below if you would like to receive future information about programmes, events and performances that we run. We will never pass your details onto a third party. All information you give will be held in line with our Privacy & Cookies Policy. Have you already auditioned for vocational dance training institutions? If no, are you considering auditioning for vocational dance training institutions in the future? Rambert School of Ballet and Contemporary Dance welcomes applications from disabled people and offers places solely on the basis of potential and suitability for a career in the profession. You are encouraged to disclose any impairment or condition (for example, dyslexia, mental health, a physical, sensory impairment) at the earliest opportunity. We can then endeavour to support you during the course. Applicants should be reassured that any information you disclose is so that we can support you during the application process. Our courses are rigorous and require high levels of energy and commitment. It would be very helpful if you could let us know if you have any performance related injuries or health difficulties, for example bone or joint problems, or if you are currently taking prescription drugs of any kind. Guidance note: The Children (Leaving Care) Act 2000 states that a Care Leaver is someone who has been in the care of the Local Authority for a period of 13 weeks or more spanning their 16th birthday. We ask for this information to ensure that eligible students receive available Care Leaver funding and additional support. I declare that to the best of my knowledge all information given in this application is true, accurate and complete. Writing your name below will count as your e-signature. Please complete The Equality and Diversity Information on the next page. This will not be used as part of your application. Please complete the following monitoring information. Rambert School of Ballet and Contemporary Dance welcome applications from all sections of the community regardless of ethnicity, age, gender, religion or disability. The information you give in this section is used for statistical and monitoring processes only and does not form any part of the selection or admissions process. The information you give below will be used for statistical purposes only. There is a separate section on this application form which invites you to tell us of a specific learning difficulty or other impairment or condition so that we can arrange support for you at your audition / interview and if successful, during the course. 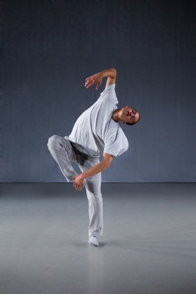 Information for Disabled Students: Rambert School of Ballet and Contemporary Dance welcome applications from disabled people and offers places solely on the basis of potential and suitability for a career in the profession. We encourage all students to visit the school before applying, to view classes and facilities and discuss any support or adjustments that may be required.